It combines the highly polished ceramic material, Spectrum, with your own sentimental message in a fresh and innovative way. 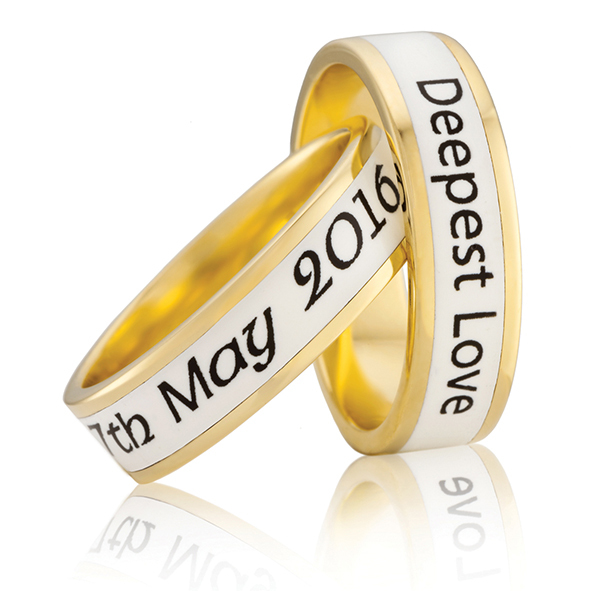 Designs are available in a Flat Round profile, in a range of widths, colours and carats of Gold & Sterling Silver. 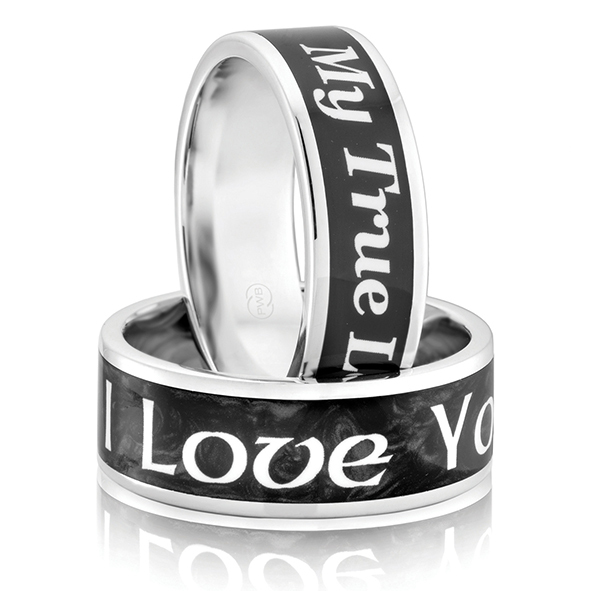 Choose from White, Black or Pearlescent Black Spectrum to highlight a special date, message or quote. Find your nearest Peter W Beck stockist to learn more.